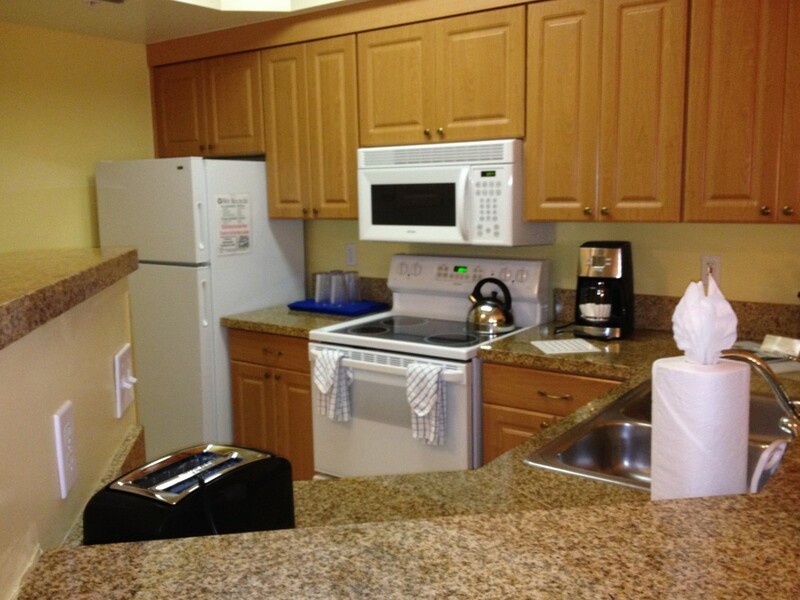 The full-size kitchen includes a full size refrigerator, a full stove with an oven, and a microwave. It is fully equipped with utensils, pots, pans, frying pans, baking dishes, even things like blenders and so on. Since we like to cook our own meals, instead of going to restaurants, places like these are a perfect setup for us. You can eat your meals either at the marble counter sitting on high chairs, or at the dining table that easily fits six. In addition, every unit has a very cute screened in porch with a table and chairs, which makes it a perfect place for breakfast. There are also charcoal and gas grills and picnic tables set up throughout the property if you’re in the mood for a grilled meal. As you can see from the map below, the place is rather large, and includes not only apartments but also a restaurant, a small store, as well as three pools, a playground, and recreational buildings and areas. You can play golf, soccer, basketball, or go for a ride in a boat or a bicycle-like Surrey. In November 2013, a half hour ride on a paddle boat cost $10, and sailboats and electric boats were $15. A beach cruiser was $6 for an hour, or $15 for a full day. Surrey single bench was $12 and double bench was $18 an hour. If you wanted to go fishing you could rent a rod & reel for $10 for 24 hours, and buy night crawlers at $4 per dozen. A club and ball for the mini golf was $3 per person. 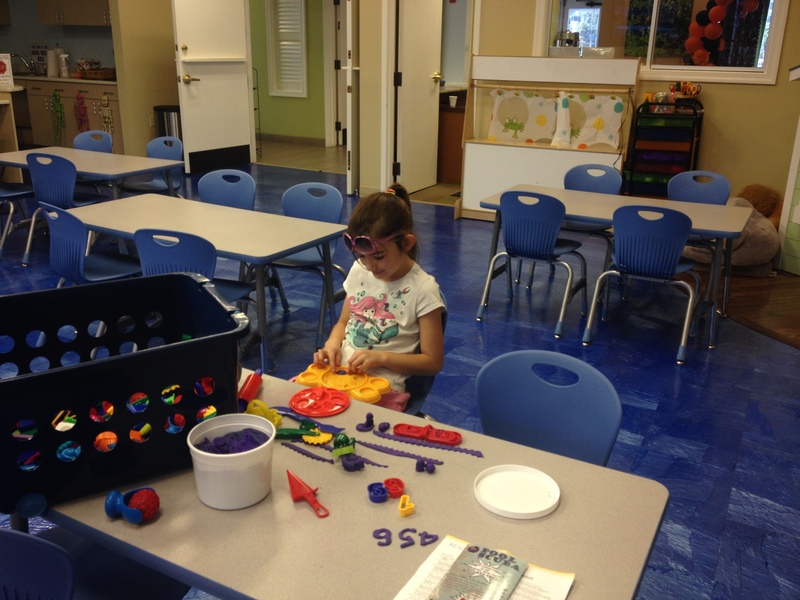 If the kids want to do some arts and crafts, the Lakehouse includes a nice, large room for kids with several tables with playdough, plenty of crayons, books, toys and so on that will keep them busy for quite a while. In addition, the Lakehouse also houses a separate teen lounge and an adult lounge. I believe like every Marriott Vacation Club property there are events organized for both kids and adults, but I’m afraid we did not save the info. You will get a weekly schedule of all events when you check in. Unfortunately, we seem to have deleted most of the outdoor photos we took at the property, so I have to use stock photos taken by the Marriott. I believe there is a bus route 08 along Westwood Blvd where Marriott Cypress Harbour is located that will take you to all three locations, but we had a rental car, so if you’re planning on using the bus, please check the frequency with the bus company. 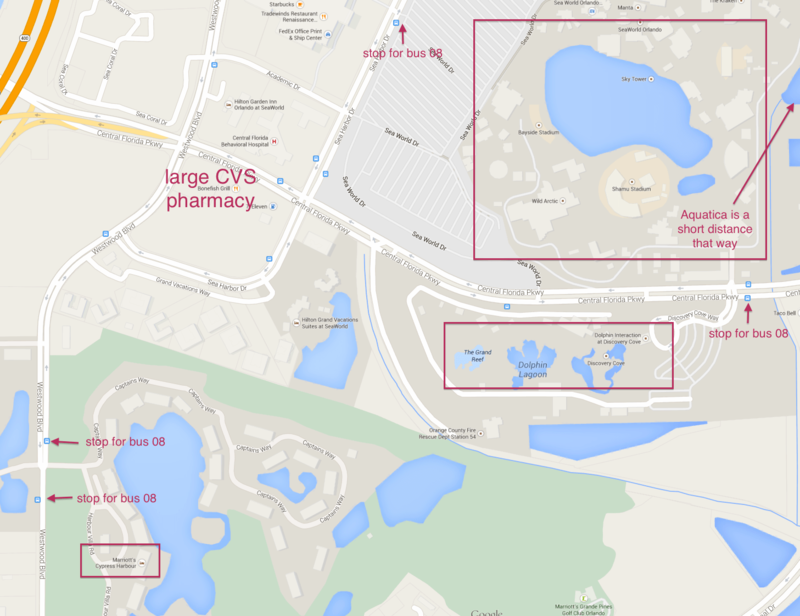 Not too far from the Marriott Cypress Harbour and before you get to the SeaWorld area, at 6790 Central Florida Pkwy, Orlando, FL 32821, is a large, 24-hour, CVS pharmacy that also carries some basic food stuffs. However, if you’re looking for a “proper” grocery store, the closest one we found is the Publix supermarket, 2.5 miles away in the other direction at the Regency Village Shopping Center, 8145 Vineland Ave, Orlando, FL 32821. In addition to being a grocery store, this Publix also has a pretty large selection of “beach stuff” – swimsuits, towels, flip flops, floaties, and so on. 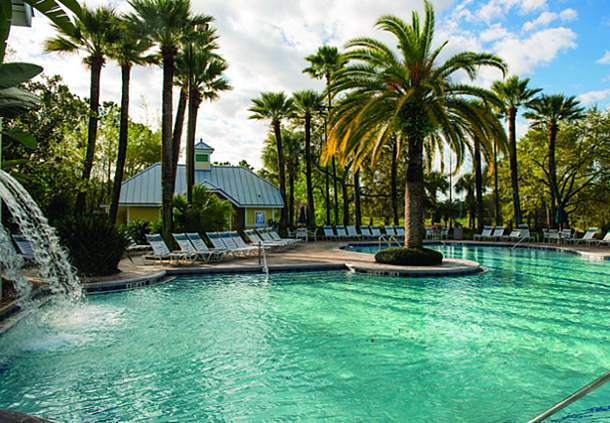 And if you’re in a mood for shopping, just a little bit further west from the Publix is the Orlando Vineland Premium Outlets shopping center. All in all, we were quite pleased with our stay at the Marriott Cypress Harbour. You don’t have to be part of a timeshare exchange to stay there. You can also book the apartments directly through Marriott, or check if Booking.com has a better price. I can see that in the middle of December you can get one of those apartments at $183 a night, which is a pretty good deal if you go there with extended family and split the cost and cook your own meals. Wherever you decide to stay, have fun in Orlando! There’s definitely plenty to do there, and last November was so mild, it felt like middle of New England May to us. If you like reading about travel, and especially if you write about travel, consider joining the #WeekendWanderlust bloggers on Facebook. Looks like a nice place to stay. We stayed in an apartment similar to this a few years back. It was much cheaper than renting two rooms out. Thanks for sharing and linking up to #WeekendWanderlust. Thank you for visiting the blog, CarmensTravelTips! That’s what I like about apartments with kitchens – if you travel as a family of four or six (if we have the grandparents with us), it’s actually more cost effective to get an apartment and cook your own meals, than to get two or three rooms and go out for each meal, including breakfast. With a family of 5, we are always looking for places to stay where we can spread out a bit. Looks like a great option in Orlando. Looks like a great place for a larger family. We are always looking for a place with a kitchen to save some money. 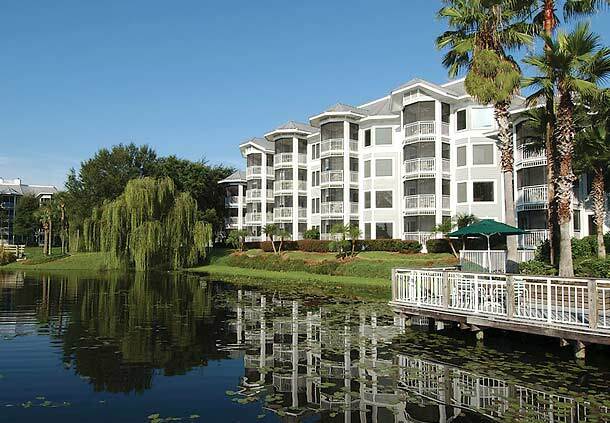 Great choice in Orlando!